Unique, handmade, Celtic design products! Come in for a great window-shopping-tour! Celtic Attic will charm your home with excellent Celtic Design! 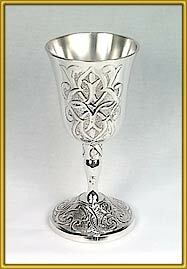 Welcome to our phantastic Celtic Design World! Please do some great window shopping. To order an item please use the provided paypal buttons (SHIPPING IS INCLUDED!) but please be sure to read the important price and order conditions! 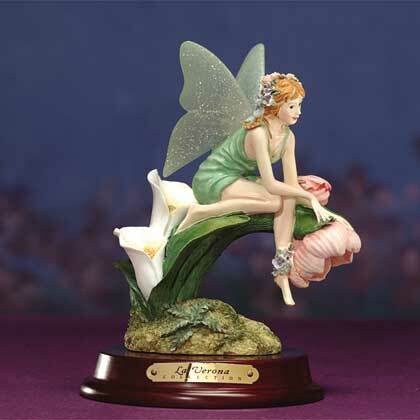 Porcelain, handpainted figural decoration. “Scottie” is the sixth edition in the “Man’s Best Friend” series. This stein appeals at the very least to three markets: Scotch Terrier lovers, all people with Scotch heritage and golfers. 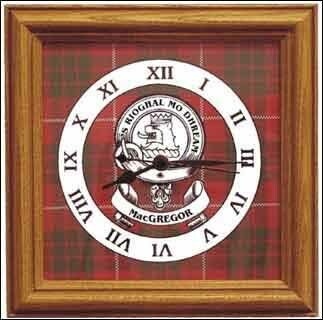 “Scottie” is portrayed as a bag piper and we see him in the traditional attire with kilt, sash, kilt pin, & hat complete with clan badge. The handle is in the shape of a golf bag. A limited edition of 5,000 pieces. Each stein is individually numbered. Volume: 0.75L. Dimensions: 10 3/4". Please allow 2 weeks additional shipping. Ideal for Scotch Whiskey, or toothpicks. Intricately detailed, this is a companion stein to the Scottie Stein to the left. Volume: 2.0oz. Dimensions: 5"
All trivets and coasters are sealed with a polymer product and are heat resistant. Each trivet is made to your order please allow for manufacturing time and for the epoxy coating to set and harden. Humorous Irish Prayer whimsical sentiment and design. Each trivet is made from ceramic tile and they are simply lovely. You get 2 tiles 4" x 4"
Green shamrocks, and celtic knot border, and "Erin Go Bragh" (Ireland Forever) in Irish Gaelic. Each trivet is made from ceramic tile and they are simply lovely. Gaelic "A hundred thousand welcomes". Each trivet is made from ceramic tile and they are simply lovely. Claddagh tile personalized with wedding date and bride & groom's names. green celtic knot/theme border. Please specify which you would like. Please allow at least 2 weeks for delivery of this item. 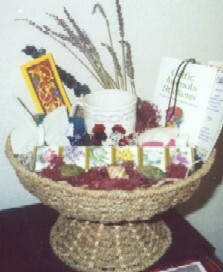 Scottish Gaelic "Hundred Thousand Welcomes" with a thistle and tartan border. Each trivet is made from ceramic tile and they are simply lovely. Scottish Gold Luckenbooth thistle design personalized with names of Bride & Groom and wedding date. Great gift for a wedding or anniversary. Each trivet is made from ceramic tile and they are simply lovely. Welsh Dragon with Welsh National Tartan border handcrafted design. Each trivet is made from ceramic tile and they are simply lovely. Legend of the Scottish Thistle. Each trivet is made from ceramic tile and they are simply lovely. Green Celtic Cross w/Celtic Knot Border. Each trivet is made from ceramic tile and they are simply lovely. Two thistles with "Scotland" written above. Surrounded by the image of a wood frame with a carved thistle border. Each trivet is made from ceramic tile and they are simply lovely. Unique whimsical Nessie design, with Tartan border of your choosing. Nessie is swimming in Loch Ness, wearing her tartan hat. Each trivet is made from ceramic tile and they are simply lovely. Celtic knot border with Scottish thistles wedding tile design with bride and groom's names, wedding date and traditional Celtic sentiment: "May joy and peace surround you both, contentment latch your door, and happiness be with you now and God bless you evermore.". Artwork by Purple Thistles. Please allow 2 weeks for delivery of this item. Baby Harp TM, 21", 12 nylon strings, rosewood. 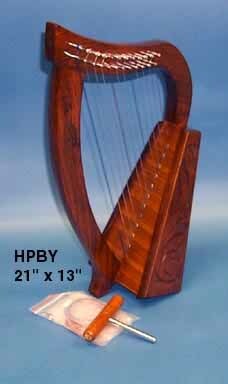 The Baby harp is our smallest functional harp. Although, only 21 inches in size, this harp is designed to be played. There are 12 strings and 1 ½ octaves. It is perfect for a child, but the more accomplished harpist will enjoy this small prize. Please allow 2 weeks shipping time. Great Carved Wooden Box. 4 by 6 inches. Great Carved Wooden Box, 4 by 6 inches. Add a touch of Love and Friendship to your front door or entry way. Made in Ireland of solid brass. 5" x 4 1/2". The Trinity Knot is as impressive to look at as it is functional. The door knocker swivels on a Celtic design base and the striker plate also is cast with a Celtic design. Measures 6" X 6". Two holes are required for installation. Capped mounting studs are also included. Mounting Hole Spacing = 5" on Vertical. Solid Brass. The thistle is one of the better known symbols of Scotland. The door knocker swivels on a Celtic design base and the striker plate also is cast with a Celtic design. Measures 5 1/2" X 5 1/2". Two holes are required for installation. Capped mounting studs are also included. Solid Brass. The shamrock is one of the symbols of Ireland. The door knocker swivels on a Celtic design base and the striker plate also is cast with a Celtic design. Measures 5 1/2" X 5 1/2". Two holes are required for installation. Capped mounting studs are also included. Solid Brass. The prices shown on our shopping pages are the total amounts in US-dollars you have to pay for the item you have purchased INCLUDING POSTAGE! Please note that, of course, the prices DO NOT INCLUDE A POSSIBLE CUSTOMS FEE! We are providing a secure and fast online payment service called PAYPAL. You only have to click on "Add to Cart" below the product you want to purchase and follow the instructions there. NEW! You don´t need a paypal account to pay for your item! You only need a valid credit card! Please click here for a free and easy to use Currency Converter.